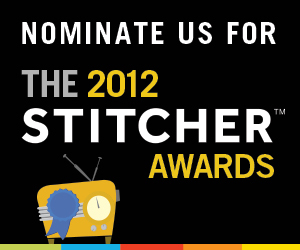 The 2012 Stitcher Smart Radio Awards! Vote for Whence Came You! Click the link above and follow the directions to vote for Whence Came You? in the educational and learning category! You can vote once per day, so vote everyday!! !